Ellis, D.E., Chu, S.T.L., Popovic, C., Rolheiser, C., Le-May Sheffield, S., Wolf, P., & Wright, W.A. (2018). Educational Development Guide Series: No. 3. 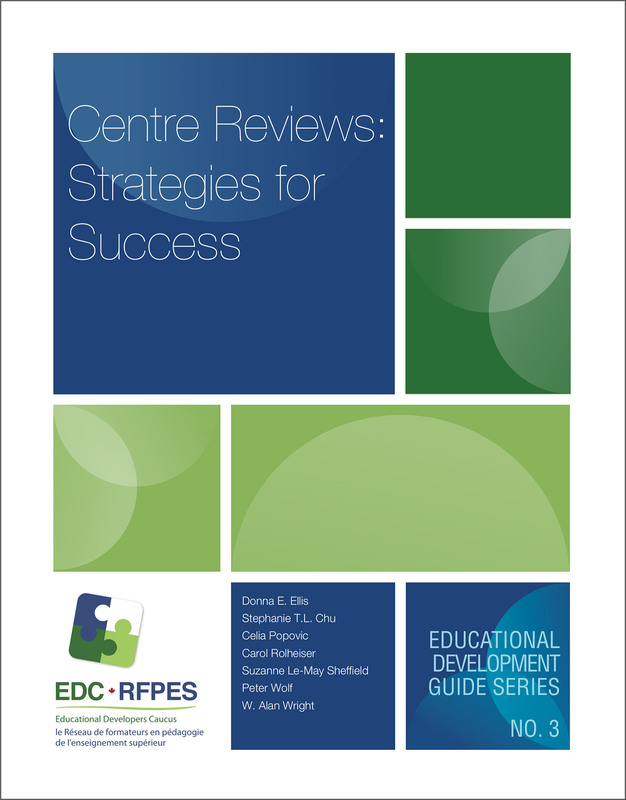 Centre Reviews: Strategies for Success. Ottawa, ON: Educational Developers Caucus. Access your copy (after reading the use and availability statement below). 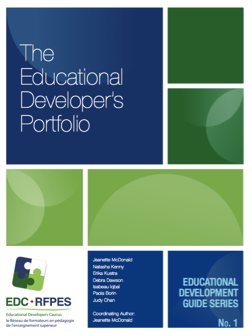 This Guide is freely available on the Educational Developers Caucus website. The content is available to read and distribute in electronic form and is available for printing. The Guide in its entirety or as portions, may be posted, used for workshops, and provided to colleagues as long as users adhere to the creative commons license (CC BY). Creative Commons: Authors retain copyright and have granted the Educational Development Guide Series right of first publication with the work simultaneously licensed under a Creative Commons Attribution License (CC-BY) that allows others to share the work with an acknowledgement of the work’s authorship and initial publication in this Educational Development Guide. Attribution: Users must give appropriate credit, provide a link to the license, and indicate if changes were made. You may do so in any reasonable manner, but not in any way that suggests the licensor endorses you or your use. Specify materials and indicate if any changes were made. Cite the materials (e.g., Ellis et al., 2018). Authors: Kim West, Carolyn Hoessler, Rebekah Bennetch, Tereigh Ewet-Bauer, Mary Wilson, Jean-Pascal Beaudoin, Donna E. Ellis, Veronica M. Brown, Julie A. Timmermans, Roselynn Verwoord, and Natasha A. Kenny. Recommended Citation: West, K., Hoessler, C., Bennetch, R., Ewert-Bauer, T., Wilson, M., Beaudoin, J.-P., Ellis, D. E., Brown, V. M., Timmermans, J. A., Verwoord, R., & Kenny, N. A. (2017). Educational Development Guide Series: No. 2. 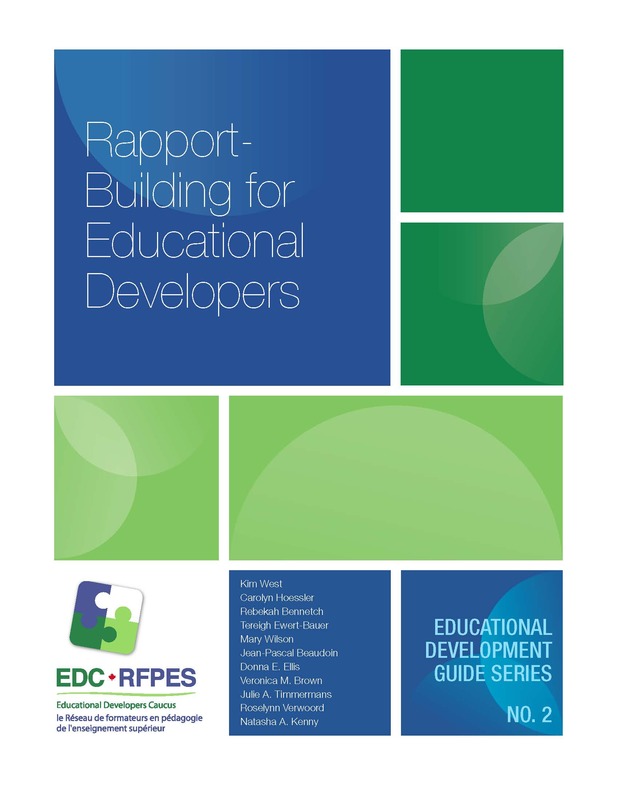 Rapport-Building for Educational Developers. Ottawa, ON: Educational Developers Caucus. 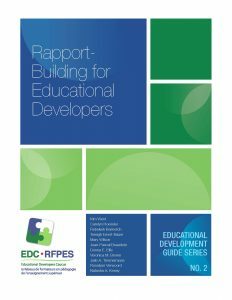 This guide is freely available on the Educational Developers Caucus website. The content is available to read and distribute in electronic form and is available for printing. The guide in its entirety or as portions, may be posted, used for workshops, and provided to colleagues as long as the creative commons license (CC BY) and the noted exception is adhered to. Creative Commons: Authors retain copyright and have granted the Educational Development Guide Series right of first publication with the work simultaneously licensed under a Creative Commons Attribution License (CC-BY-NC-SA) that allows others to share the work with an acknowledgement of the work’s authorship and initial publication in this Educational Development Guide. Cite the materials e.g., in APA formatting the citation would be (West et al., 2017). Authors:Jeanette McDonald, Natasha Kenny, Erika Kustra, Debra Dawson, Isabeau Iqbal, Paola Borin, and Judy Chan. 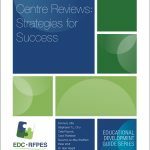 Recommended Reference: McDonald, J., Kenny, N., Kustra, E., Dawson, D., Iqbal, I., Borin, P., & Chan, J. (2016). Educational Development Guide Series: No. 1. The Educational Developer’s Portfolio. Ottawa, Canada: Educational Developers Caucus. Exception: Figures 3.1, 3.2, & 3.3 remain the exclusive copyright of Wiley & Sons publishing, and can only be distributed as part of Chapter 3 with the publisher’s permission and reference intact. Specify materials and indicate if any changes were made *Note: Figures 3.1, 3.2, 3.3 cannot be distributed separate from chapter 3. Cite the materials e.g., in APA formatting the citation would be (McDonald et al., 2016).